Congee has been a popular pick for diners in Ho Chi Minh City, celebrated as a go-to comfort with healthy-boosting benefits. 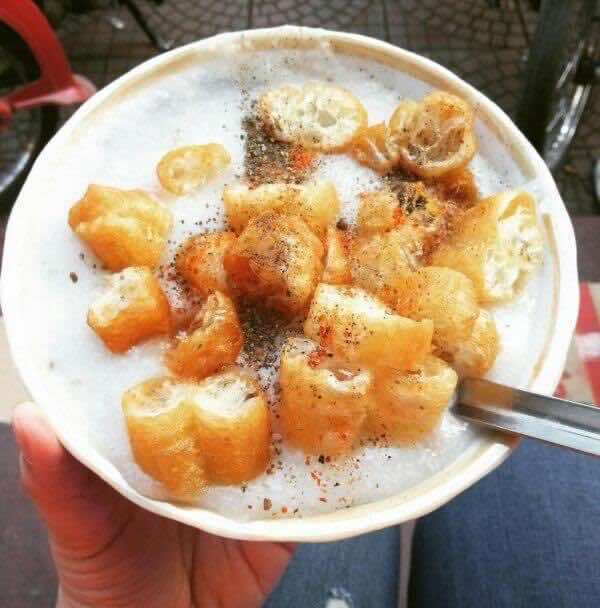 Today, this delicious rice porridge dish is as popular as ever and can be found everywhere from street food stalls and markets, to the most high-brow restaurants in the city. 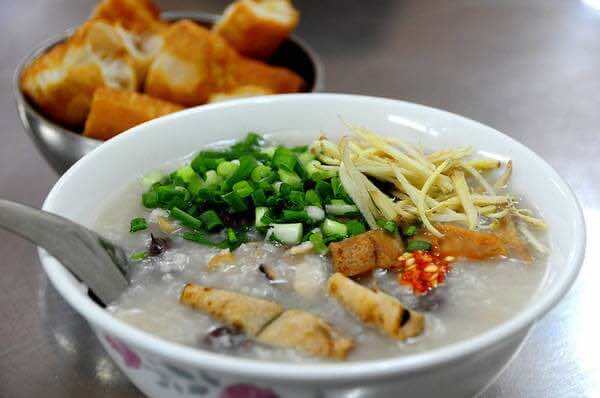 Whether you are new to the city and in search of new places to feast on delicious congee, you will love our suggestion. 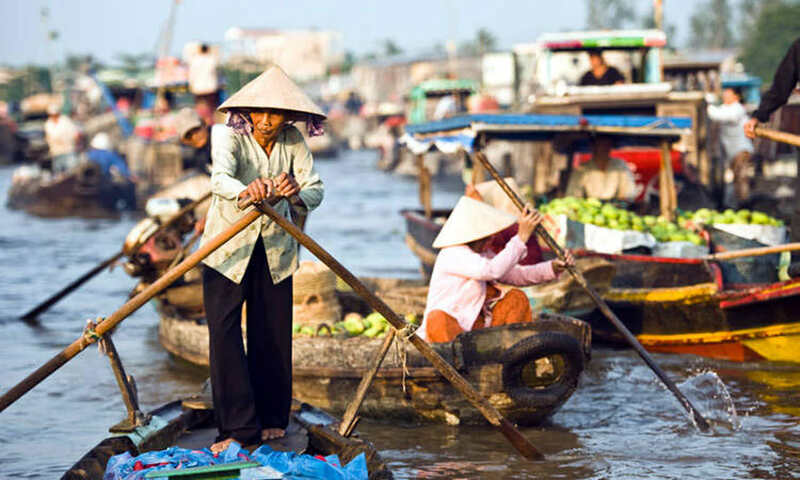 For as long as local farmers have known how to cultivate rice, the stuff has been a feature of Vietnamese cuisine. Nowadays, a bowl of porridge is commonly considered comfort food, reserved for chilly weather and bedridden days at home. Not all congee (rice porridge) is created equal. 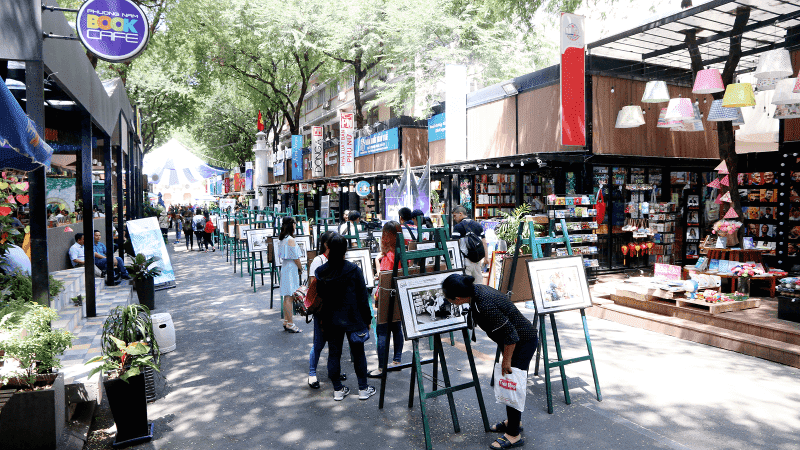 Some versions are very plain, others are flavored with tiny bits of minced pork and organs, and some with a soft boiled egg – which can all be very good. In some countries, they throw away pork organs and only use the pork meat and bone. 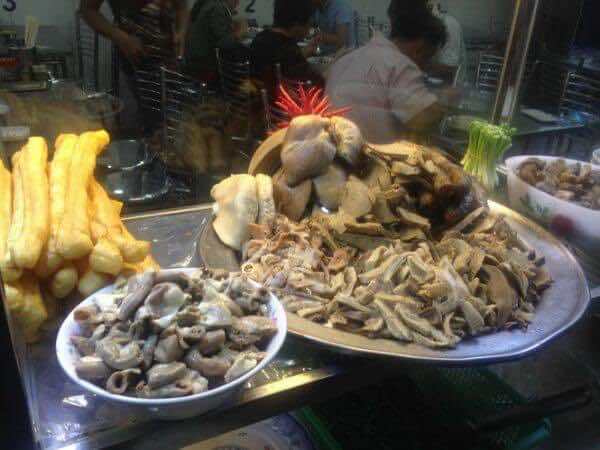 It’s a big chance for foreigner living or coming to Vietnam to enjoy an amazing food which cooked form pork organs. 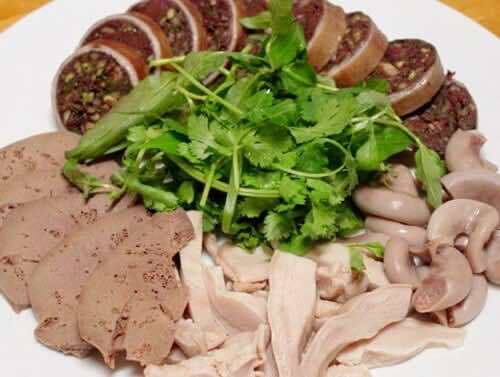 Don’t be scared because it’s totally delicious and comfort dish of Vietnamese people. I would like to introduce Vietnamese pork organ rice congee. One of the highlights of Vietnamese pork organ rice congee is the flavourful broth cooked from pork bone, meat and organs in a few hours. Cháo Lòng – 170B Vo Thi Sau, Ward 8, District 3, HCMC. Cháo lòng 144 – 144 Phan Dang Luu, Ward 1, Phu Nhuan District, HCMC. Cháo lòng – 87B Cao Thang, Ward 3, District 3, HCMC. Vietnamese chicken and rice congee turns up in Vietnamese household’s morning, noon and night. 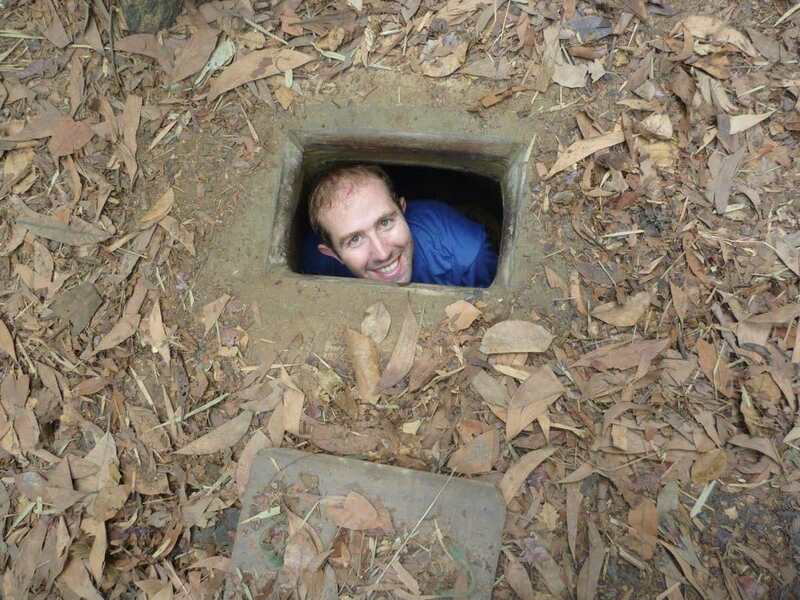 It’s also a must dish to serve at the feast in Southern Vietnam. 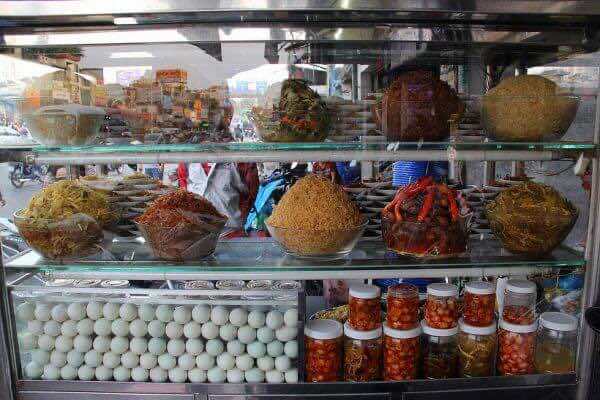 it’s easy to find this food at almost restaurants and food stalls in Vietnam because this food wins the heart of all people. 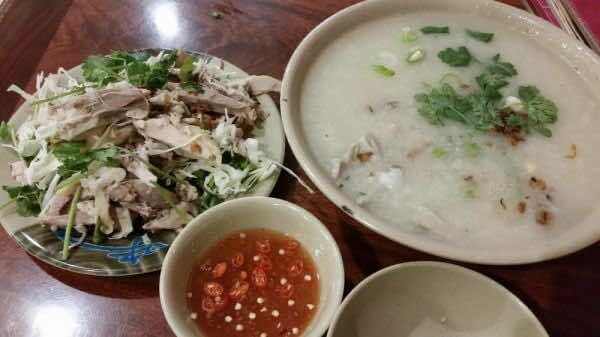 Vietnamese chicken and congee is not only delicious but also healthy. 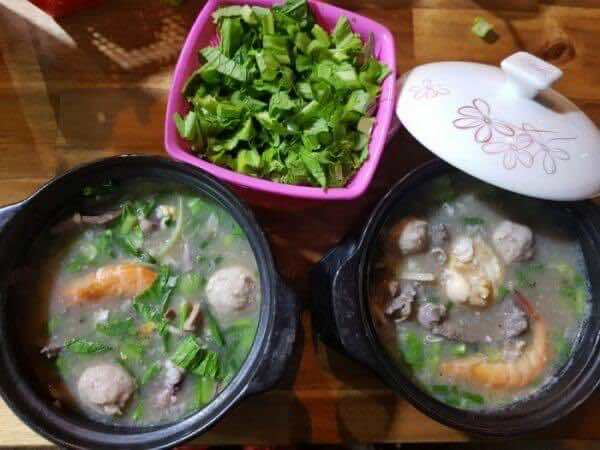 It’s a comfort dish of many Vietnamese people when it’s cold or rainy, especially when they’re sick. 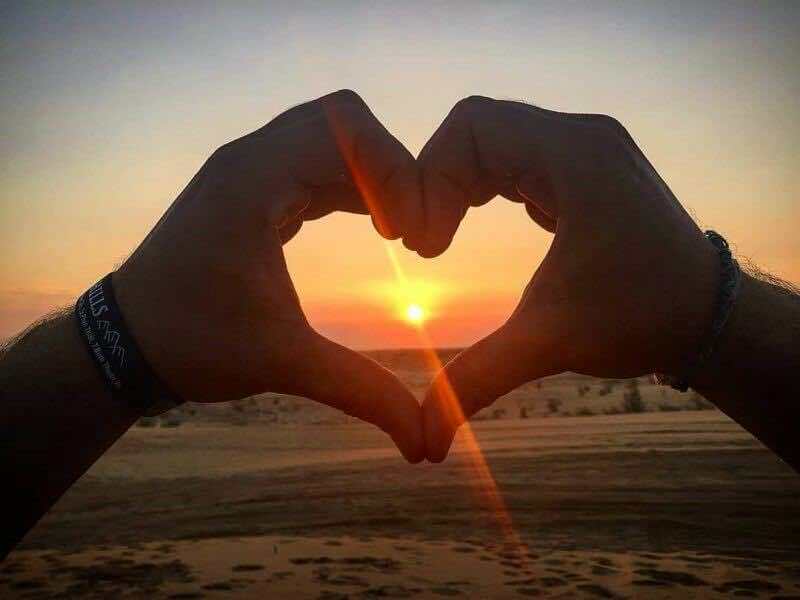 Many foreigners have tried this food and fall in love with it. The congee may be cooked to many stages and textures depending on the recipes. But the rice must completely break down but still evident and the chicken is tender but not mushy. The chicken is removed from the pot and shredded finely. 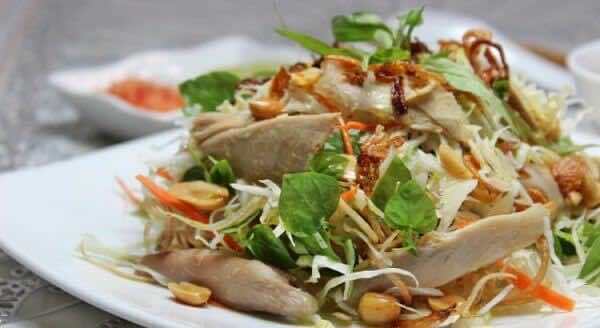 The cook uses the shredded chicken, shredded cabbage and Vietnamese coriander to make sweet and sour salad. The sauce of salad is made from lime juice or vinegar, sugar, salt and fish sauce. The salad couldn’t be lack of crushed peanuts. 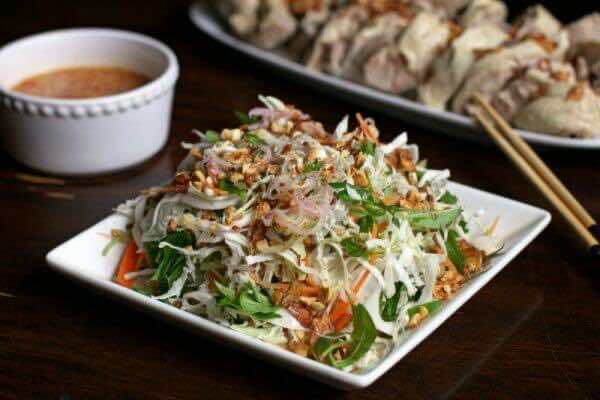 We can also use shredded banana blossoms or young banana trees to make the chicken salad. All of them are flavorful salad to eat with congee. The congee is served in a medium bowl with a spoon. Black pepper is sprinkled onto the congee. A plate of salad and a small plate of salt and chili are placed on the side. Just use spoon to ladle the congee and put the salad into the spoon by chopsticks. 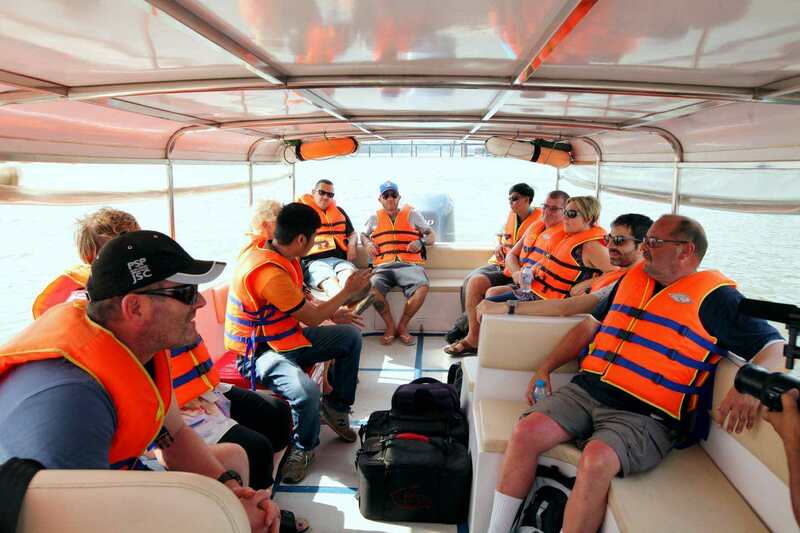 Quán cháo gà 09 – 278 Nguyen Van Dau, Ward 11, Binh Thanh District, HCMC. Cháo gà Bà Lâm – 343/2 To Hien Thanh, Ward 12, District 10, HCMC. Pig blood, dried squid and many other ingredients are the available in this porridge. The toppings are additional ingredients depending on the customer’s demand. 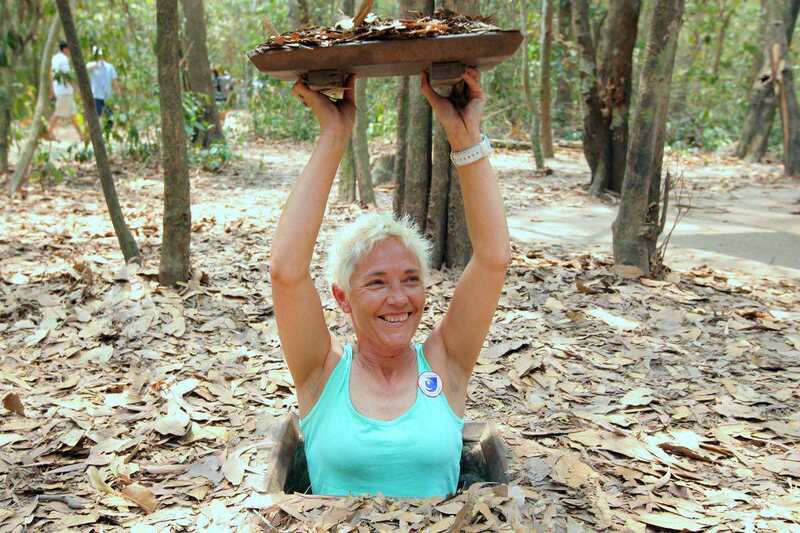 The porridge here is cooked by sticky and fragrant rice. 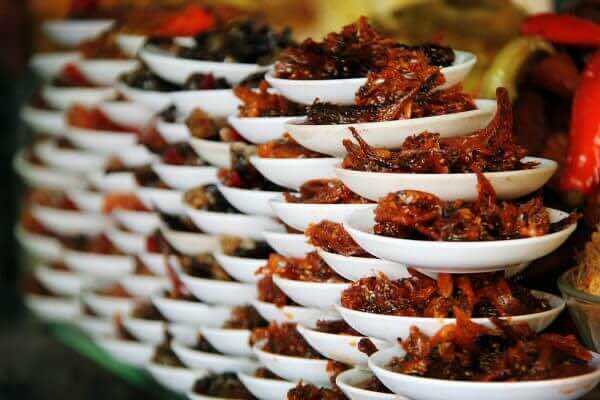 The sweetness of this dish comes from dried squid, pig bone and dried shrimp. Cháo mực số 10 – 10 Pho Duc Chinh, Nguyen Thai Binh Ward, District 1, HCMC. 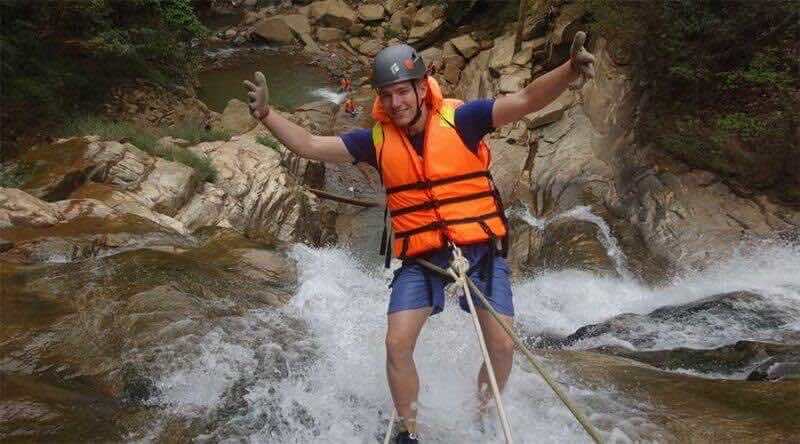 Cháo mực Thanh Sơn – 144 Nguyen Dinh Chieu, Ward 6, District 3, HCMC. Though there are many different types, with pork and pig organs being extremely popular, there’s another version called chao vit, congee made with duck. Something is that the congee and duck are served with a plate of Vietnamese salad, a mixture of finely sliced herbs and vegetables, dressed in a light sweet and sour fish sauce. 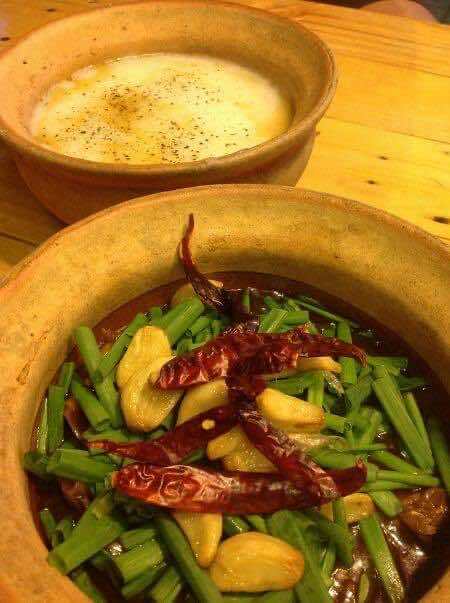 The vegetables go extremely well with the salty rice porridge and the succulent duck. Cháo vịt Gốc Nhà Lá Thanh Đa – 118-120 Binh Quoi, Ward 27, Binh Thanh District, HCMC. Cháo vịt Bà Lâm – 343/2 To Hien Thanh, Ward 12, District 10, HCMC. 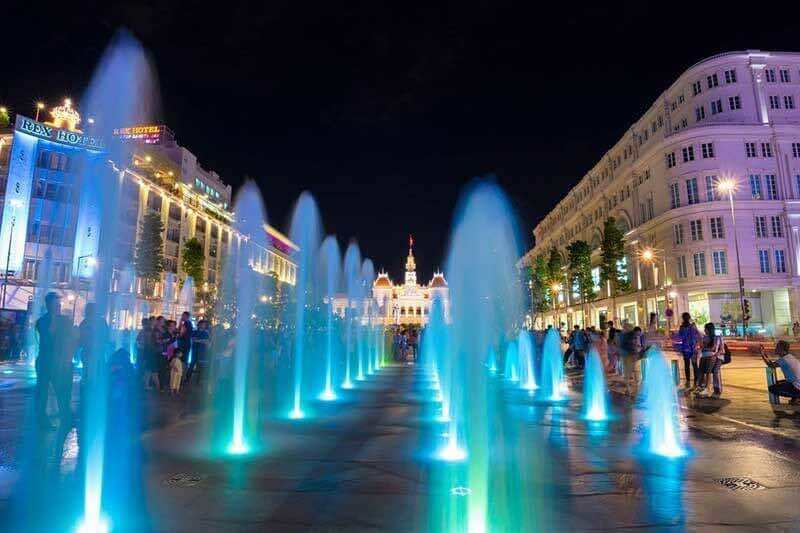 Cháo trắng Hàng Xanh – 283 Xo Viet Nghe Tinh, Ward 25, Binh Thanh District, HCMC. 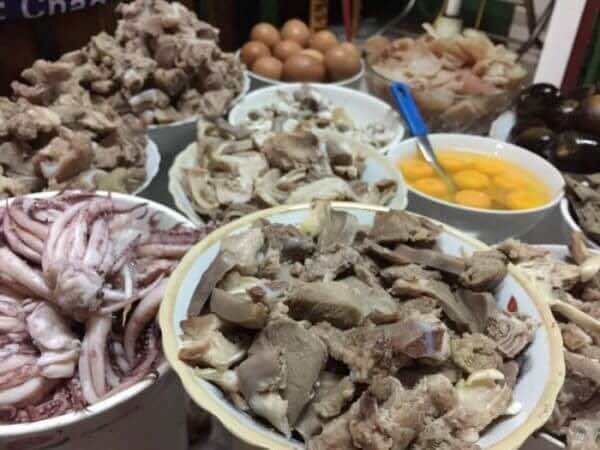 In the past, Teochew porridge was a common dish that eaten by working class people. 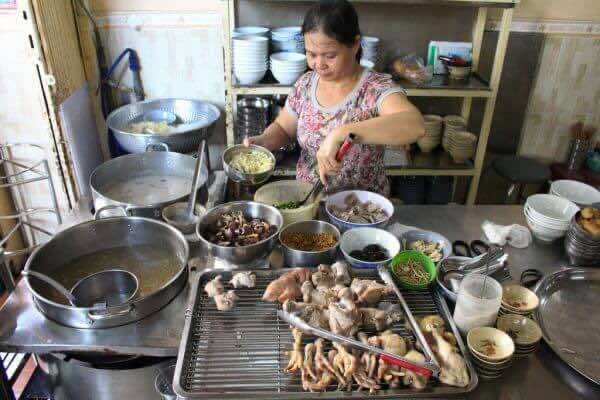 After being adapted into Vietnam’s culture in 20th century, it has gradually become a special dish of Chinatown in Ho Chi Minh City. A bowl of plain rice soup is soused with broth, which is cooked in a special way. The broth comprises of pork, tripe, pig blood curd, pork feet, tofu, pickled mustard greens and water with added esoteric spice. 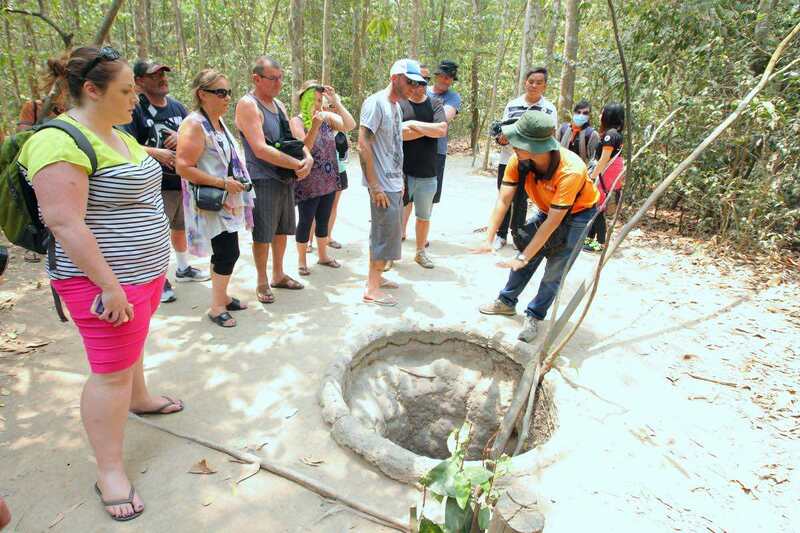 A pot of broth is put on a low fire throughout the opening time of the restaurants. You can order cooked rice instead of porridge to help satisfy your hunger more effectively. Cháo Tiều Cô Phi – 85 Dinh Bo Linh, Ward 26, Binh Thanh District, HCMC. Cháo Tiều Cô Út – 51/33 Cao Thang, Ward 3, District 3, HCMC. 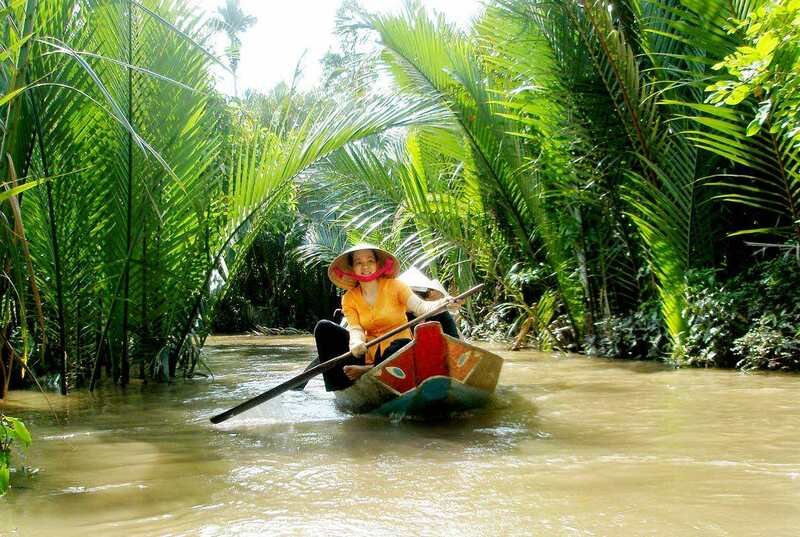 It has just been widely known for its usefulness in Vietnamese people’s daily life. If you are sick, a bowl of spare rib porridge would be the sweetest drug. Or if the cold weather sets in, spare rib porridge, with its warmth and scent, would be a wise choice to save you from the coldness. 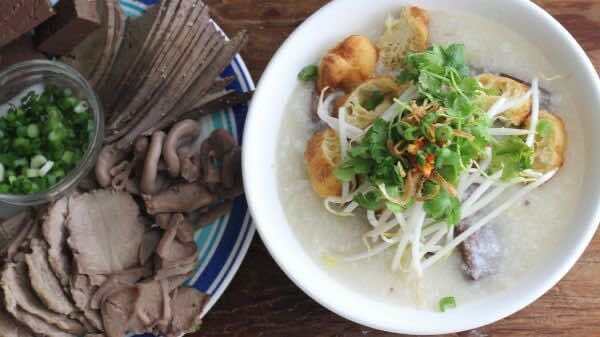 Spare rib porridge is made of two main ingredients: white rice and spare ribs. The ribs are first stewed for hours. The cook then take them out, put the rice in the broth and cool until it turns into porridge. A perfect bowl of spare rib porridge is the combination between the sweetness of the broth, thanks to ribs stewed for hours, and the tenderness of the broth and porridge. Nevertheless, spare rib porridge would not have perfect scent without several seasonings such as pepper and ginger. Cháo sườn Bà Hào – 109/15 Tran Khac Chan, Tan Dinh Ward, District 1, HCMC. 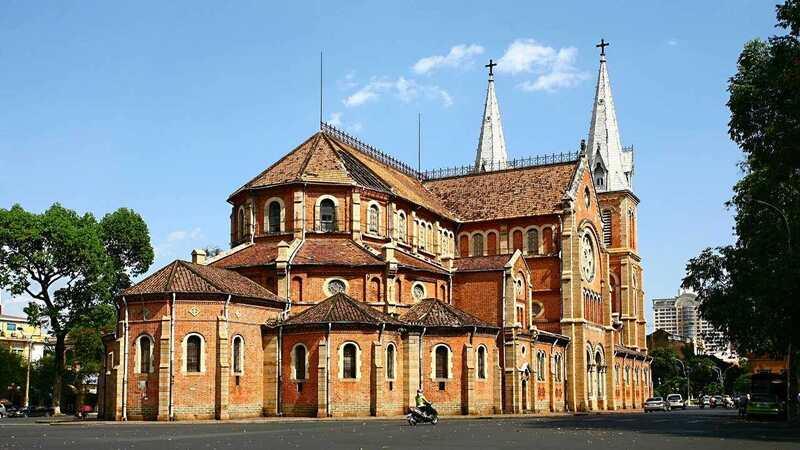 Cháo sườn Ông Tạ – 402 Pham Van Hai, Tan Binh District, HCMC. 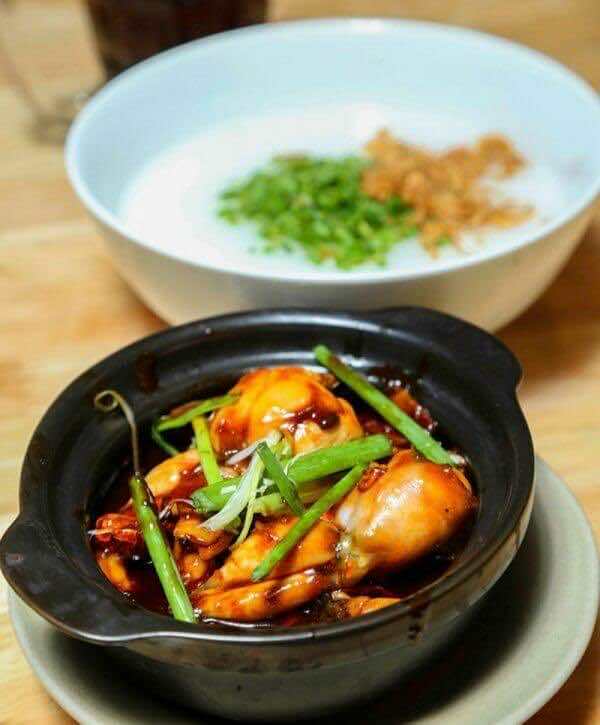 When the temperature cools down or it starts raining, it is time to have frog porridge, a simple yet really tasty and unforgettable dish. A hot pot of porridge for dinner or supper will warm up one’s enthusiasm at the end of the day. Cháo ếch Anh Mèo – 87 Nguyen Thai Binh, Nguyen Thai Binh Ward, District 1, HCMC. 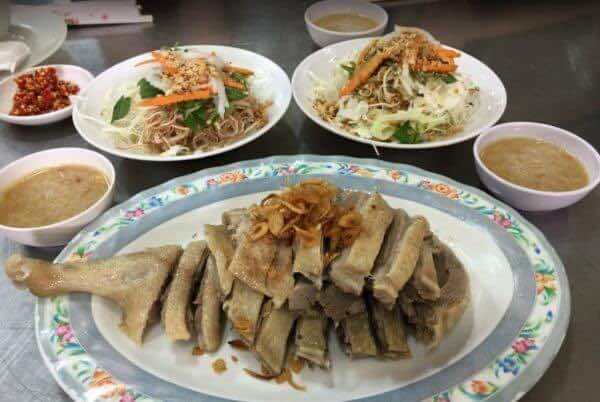 Cháo ếch Sentosa Food – 124 Phan Xich Long, Ward 2, Phu Nhuan District, HCMC.